This entry was posted in Journaling. 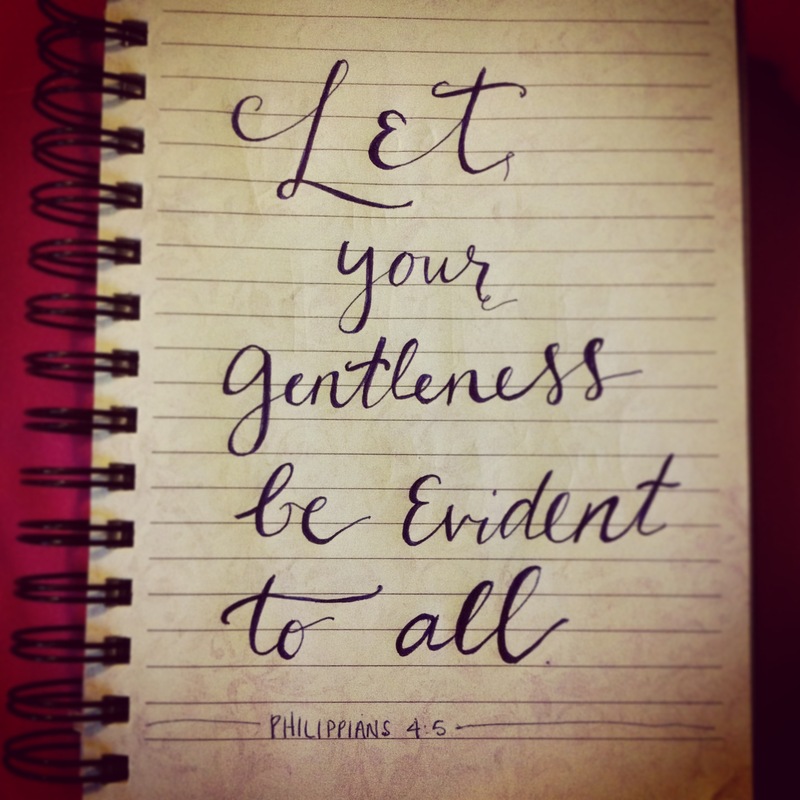 Tagged gentleness, handwriting, journaling, let it be, live the Gospel, philippians, philippians 4:5, time with God. So when can you teach me how to write like you do? oh good grief… you’re the one who taught me how to make the ampersand! You can write just as pretty! I LOVE AMPERSANDS. I know that’s weird. But I still love them. Almost as much as I love you but not quite. And I’m with Haley, teach me to write pretty like you please! Mmm I love that! And you guys, writing this way is so easy…it’s all about the shading!